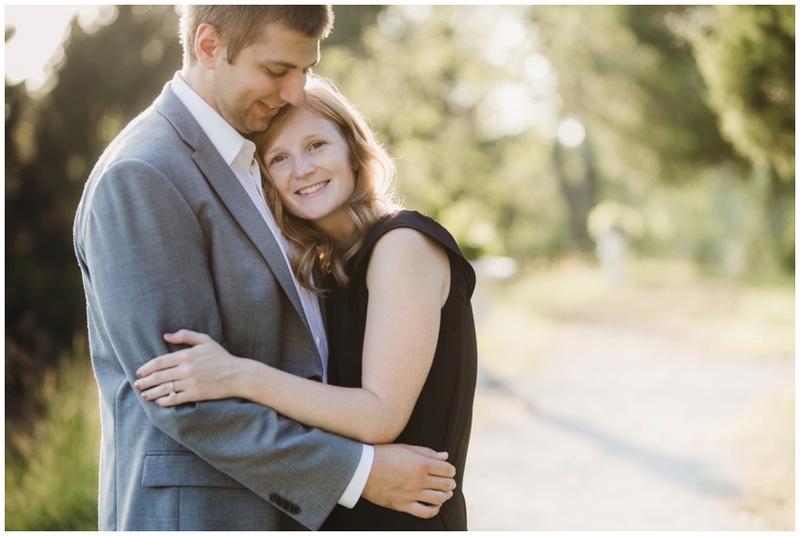 I'm so excited to share Abby + Mike's love story with you today! Their genuine smiles and gentle, loving nature is so heartwarming, I didn't want our time together to end!! I feel so blessed to work with such wonderful couples and vendors, but what makes my heart even more happy is when new clients come to me by way of recommendation from their best friends, who happen to also be an Urban Row couple!! (heyyyy, K+C!) I can't wait to celebrate all together at both of your weddings! Their relationship started during senior year at Towson University, but it was all Fran's doing that brought them closer than ever... with a furry face as sweet as that, how could you not want to spend more time together and fall in love?! On a cold and rainy day, and all Abby wanted was a Georgetown Cupcake. As those cupcakes are her favorite dessert, it was only fitting that they were an integral part to Mike's proposal! It all happened in the parking garage nearby the cupcake shop. After dinner and a stroll around town, Abby honestly thought nothing was going to happen but when they got back to the garage, Mike asked her to get something out of the glove box... and there, in the parking garage near Georgetown Cupcake, Mike asked his college sweetheart and Fran's favorite person, to spend the rest of her life with them!! I love it when proposals are completely out of the blue like that and so memorable! These cuties were such troopers during our time together! It was so hot out during our evening together, which I'm sure will only mean it'll be the perfect temperature at their Thanksgiving weekend wedding! ;) Thank you both for being so adorable and willing to explore the Hampton mansion grounds with me... it was the perfect spot to enjoy a golden hour filled with so much love and a wonderful couple. Abby and Mike, I can't wait for your wedding at the Accelerator Space and know it'll be full of so many sweet moments and memories to remember for years to come!!! See you SOON!